In what will appear as a shocking revelation, the Chairman of the Police Service Commission, Mr. Mike Okiro has said over 100,000 police officers are used for unauthorized duties. 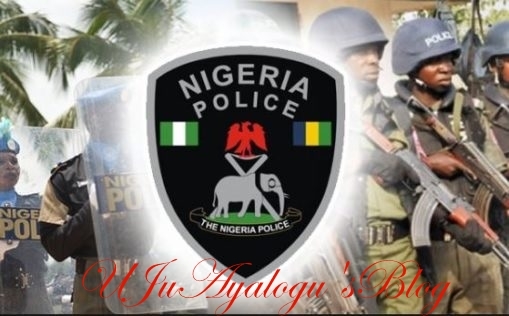 Chairman of the Police Service Commission, Mr. Mike Okiro, has said more than 150,000 policemen are attached to VIPs and unauthourised persons in the country. News Agency of Nigeria reports that President Muhammadu Buhari, in 2015, directed that police personnel attached to unauthorised persons and VIPs be withdrawn and deployed to confront the security challenges in the nation. Okiro said this in an interview with NAN on Sunday in Abuja. “We cannot afford to have more than half of the population of the Police in private hands,” he said. He said the Commission, in conjunction with the Nigeria Police Force, had commenced the implementation of the withdrawal of policemen, but the exercise was stalled due to lack of fund. “We could not sustain the enforcement of the order on the withdrawal of policemen attached to unqualified persons in the country because of lack of fund,” Okiro said. He expressed disappointment at the practice whereby persons who were ministers about 10 or 15 years ago still go about with Police security. Okiro said the nation could not be battling with shortage of manpower in the Force while the majority of the policemen would be in the service of few privileged Nigerians. He said the number of policemen in the country was inadequate for the population, hence the request for the recruitment of more policemen. He said the issue of paucity of fund has been one of the problems hindering the recruitment of more policemen for enhanced service delivery. “The Nigeria police Force is underfunded and not only in the area of manpower. “The issue of funding is very strategic to the Nigeria Police Force. If you want to police Nigeria as it should be, the entire budget of Nigeria cannot be enough for that,” he said. The chairman said the Police Trust Fund bill before the National Assembly, if passed into law, would go a long way to address the issue of funding for the Police.